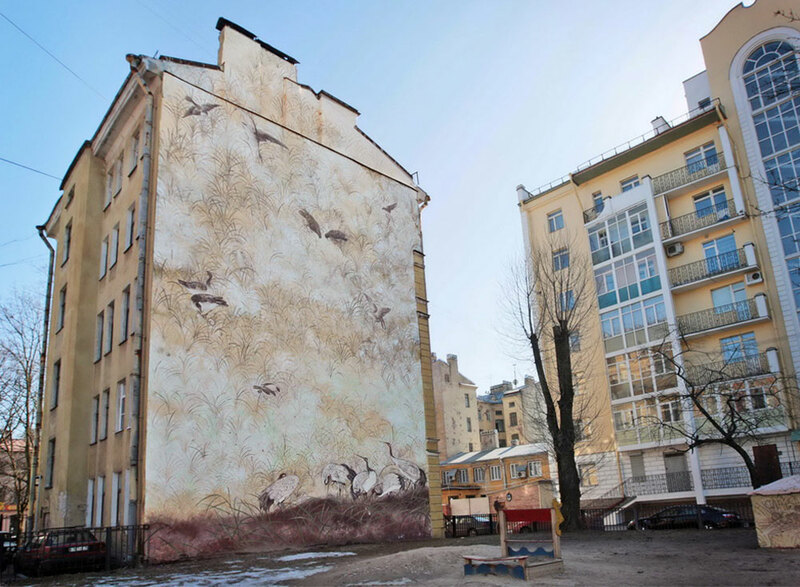 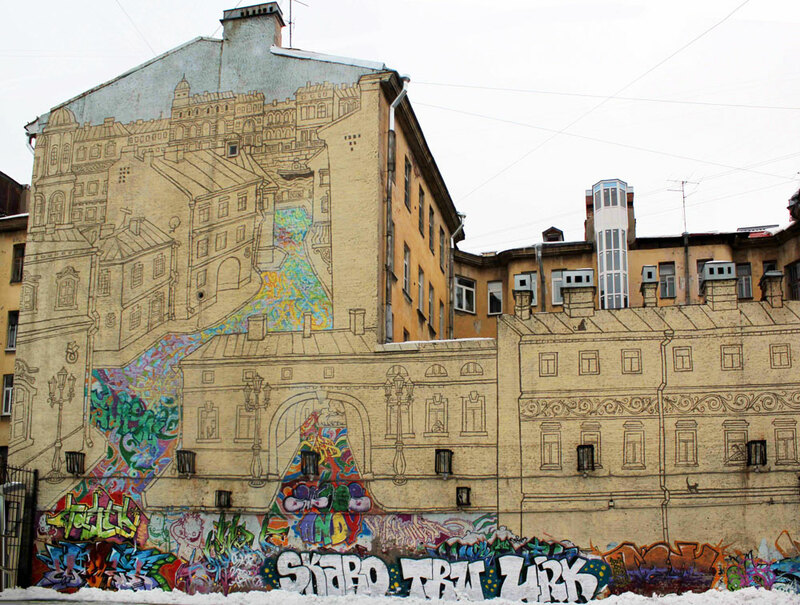 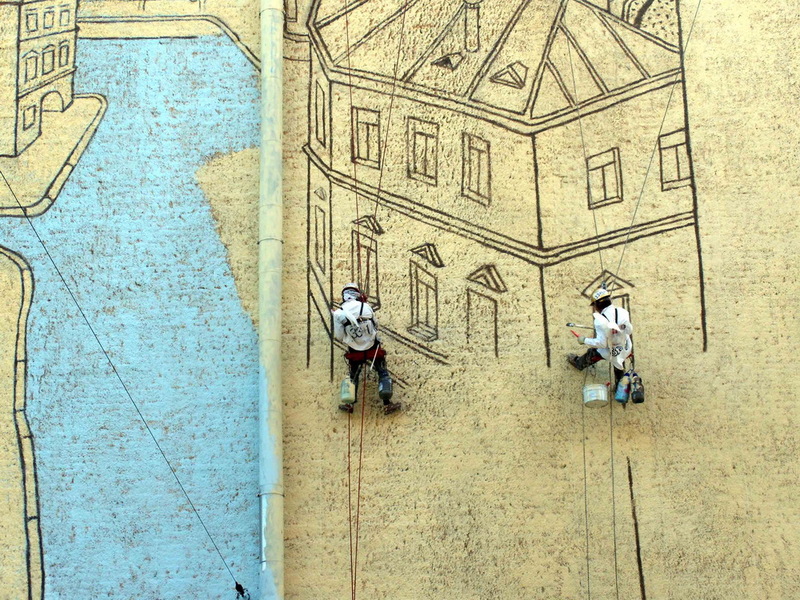 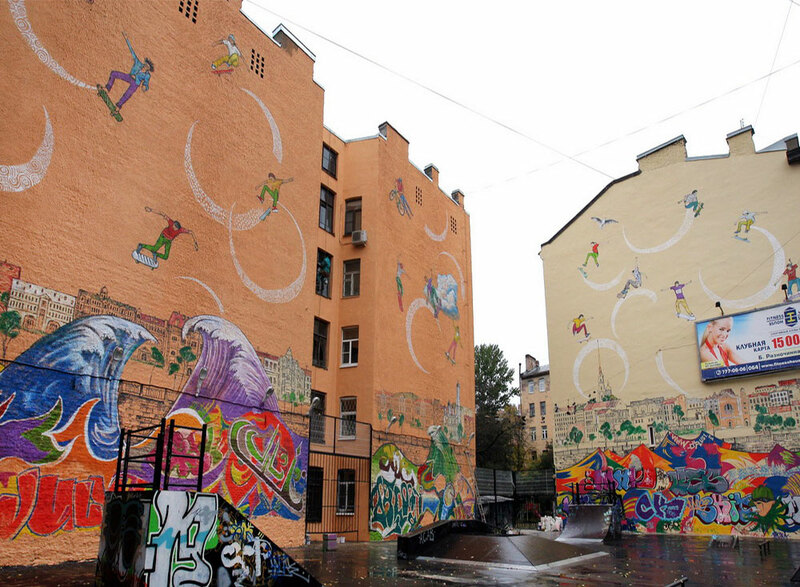 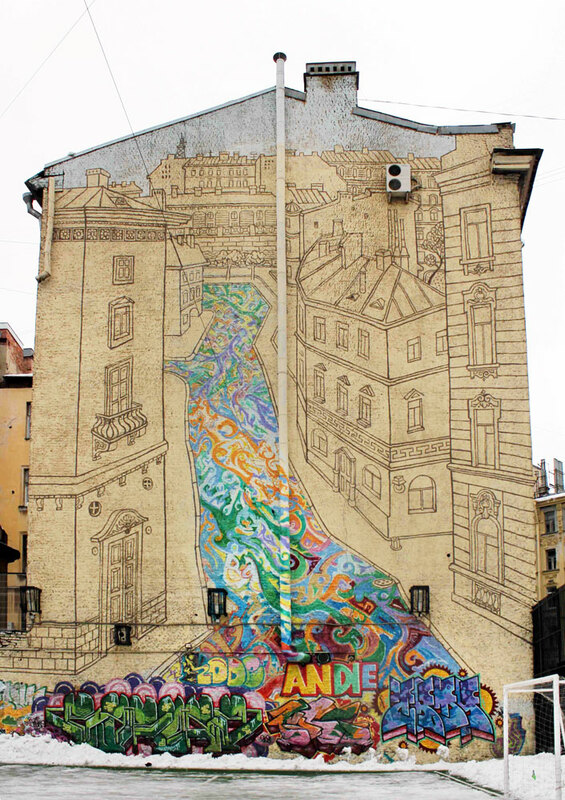 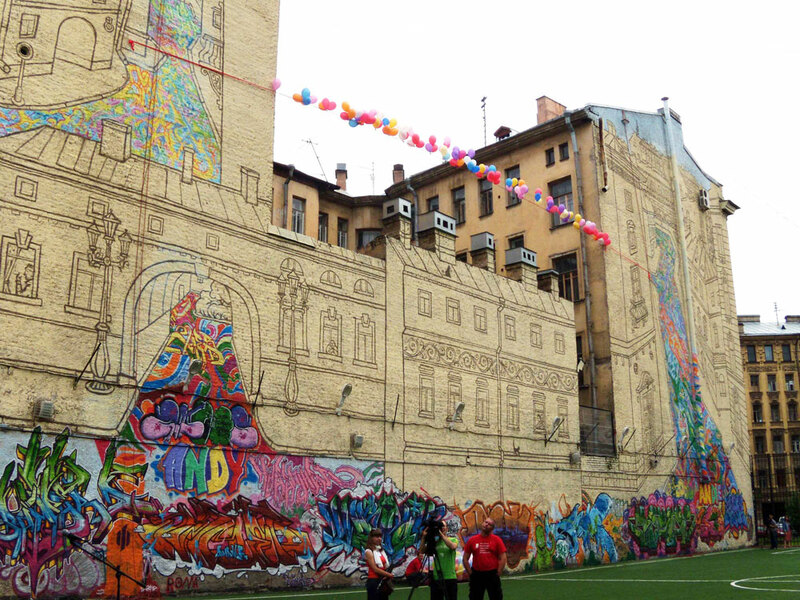 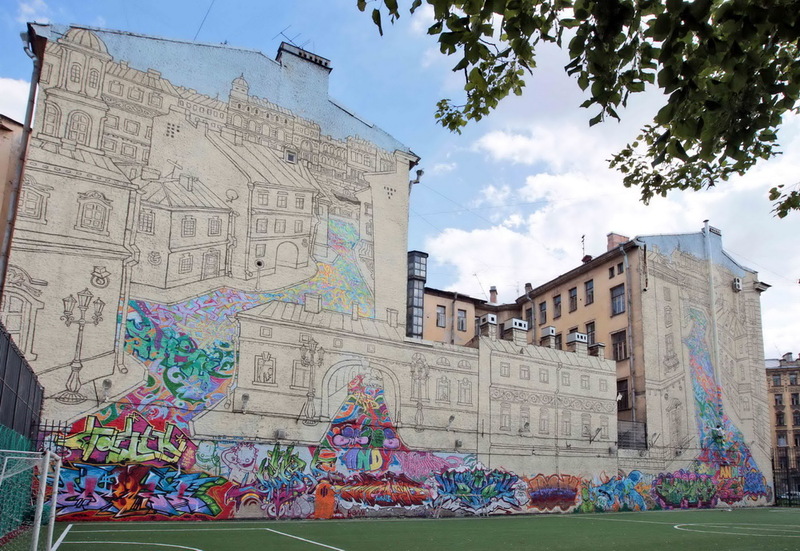 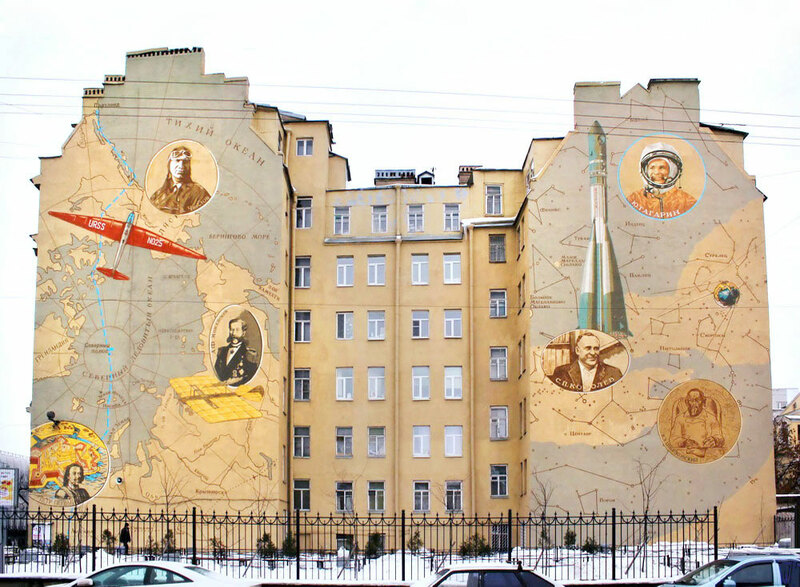 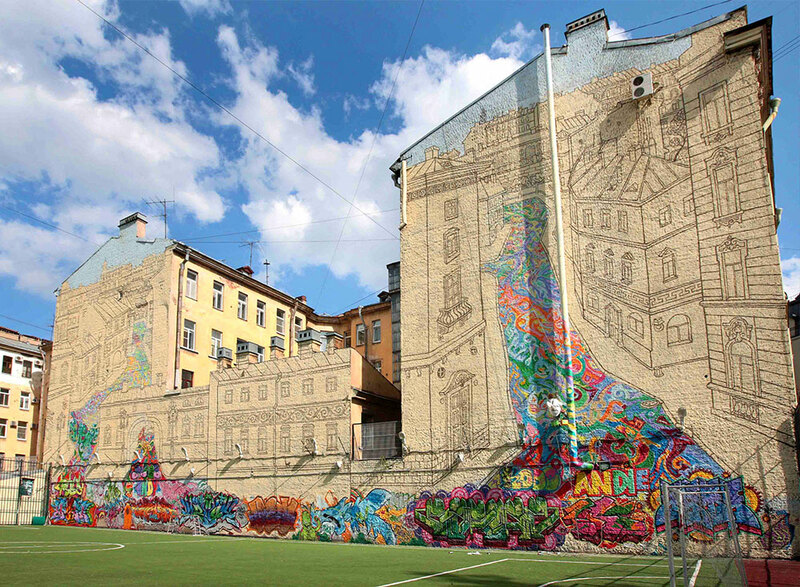 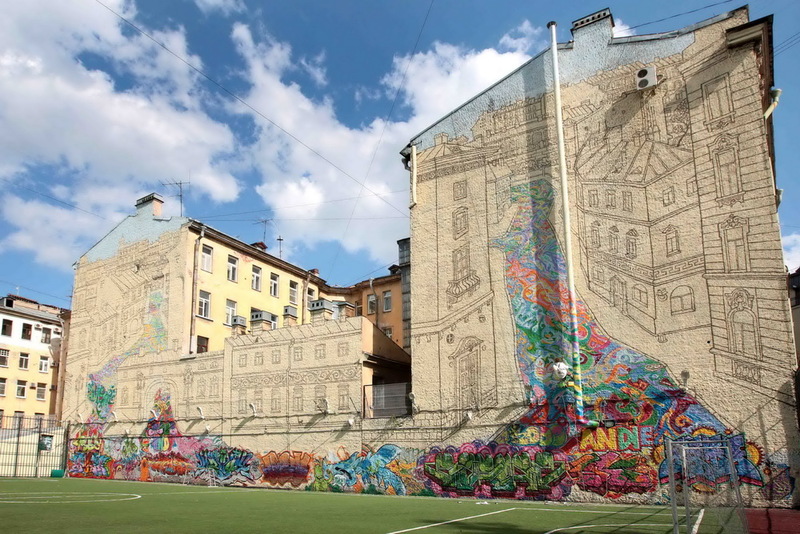 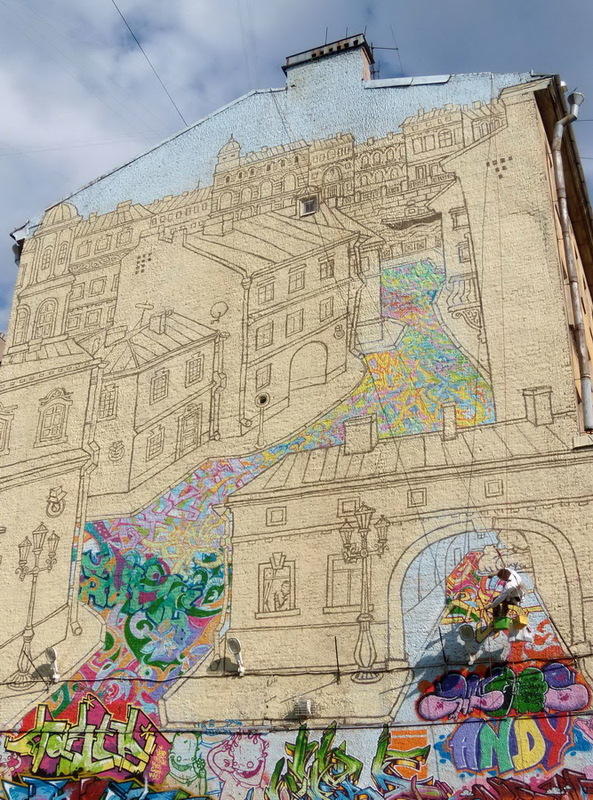 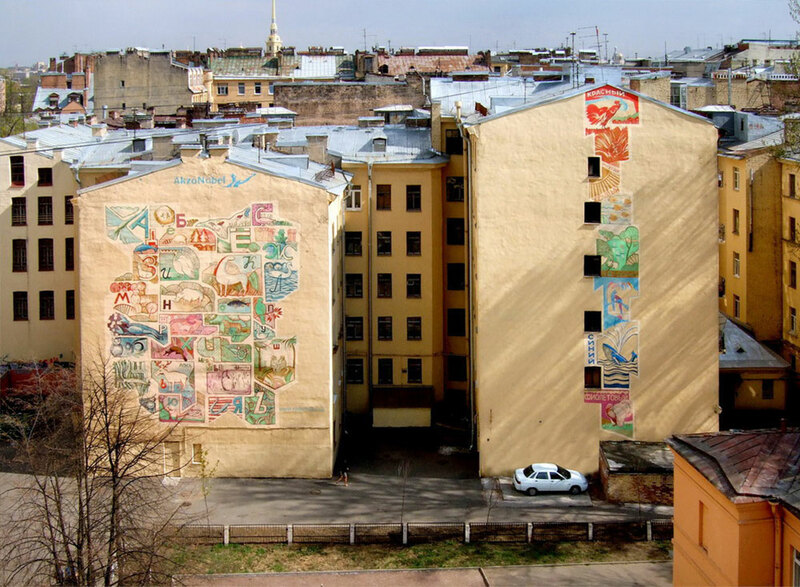 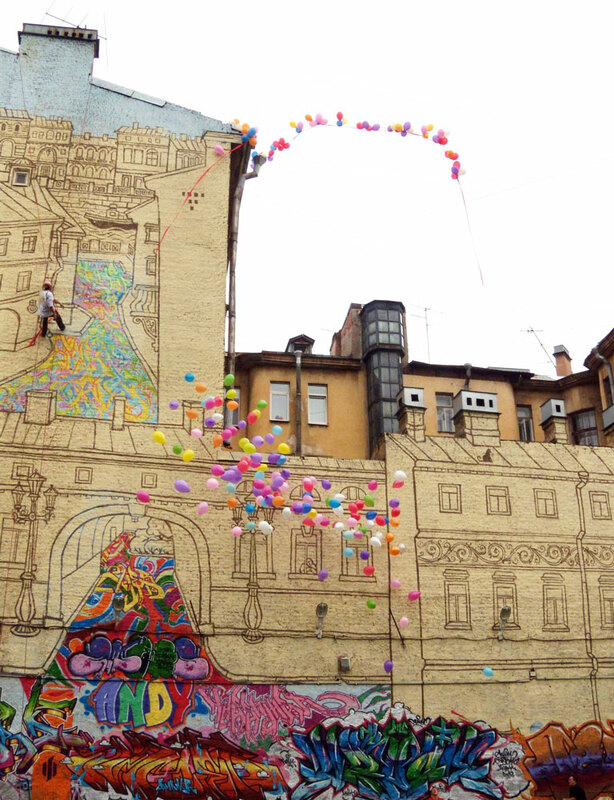 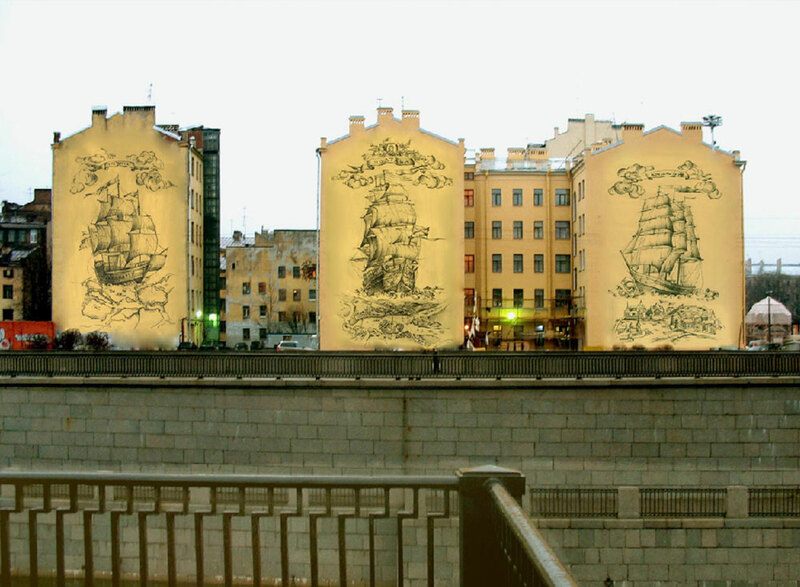 The mural “The City” is located on a football field in the center of Saint Petersburg. 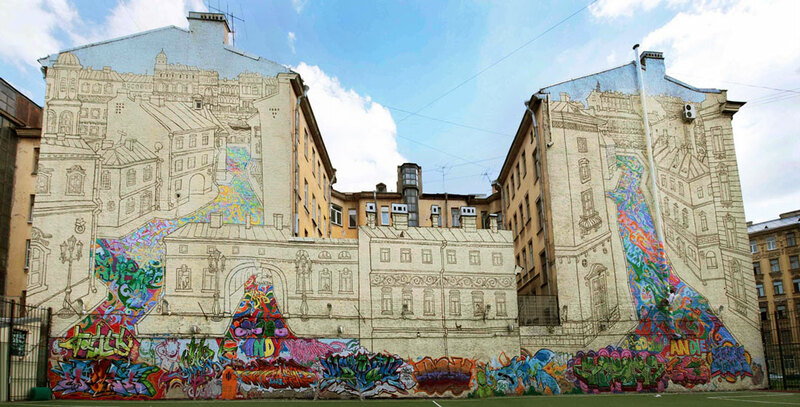 Before the mural was painted, there was always a problem with illegal graffiti, writing and drawing on the walls. 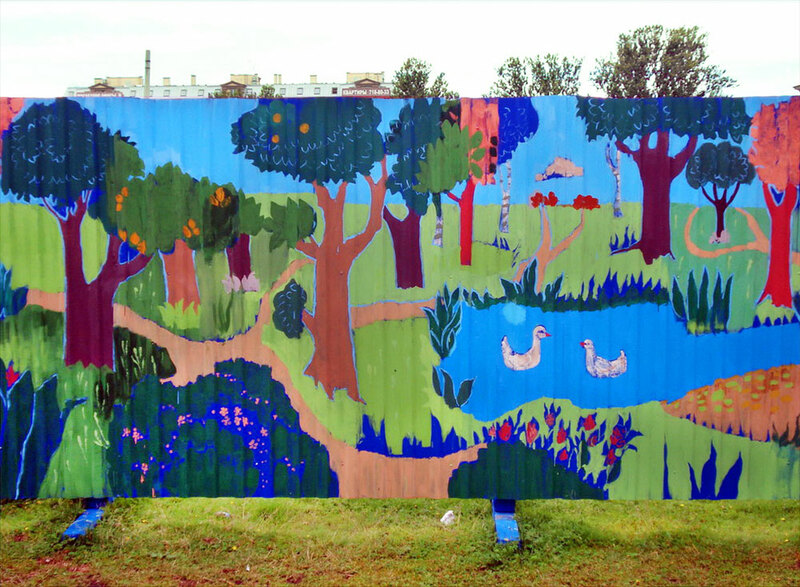 The solution was not to fight with but to cooperate with the young artists. 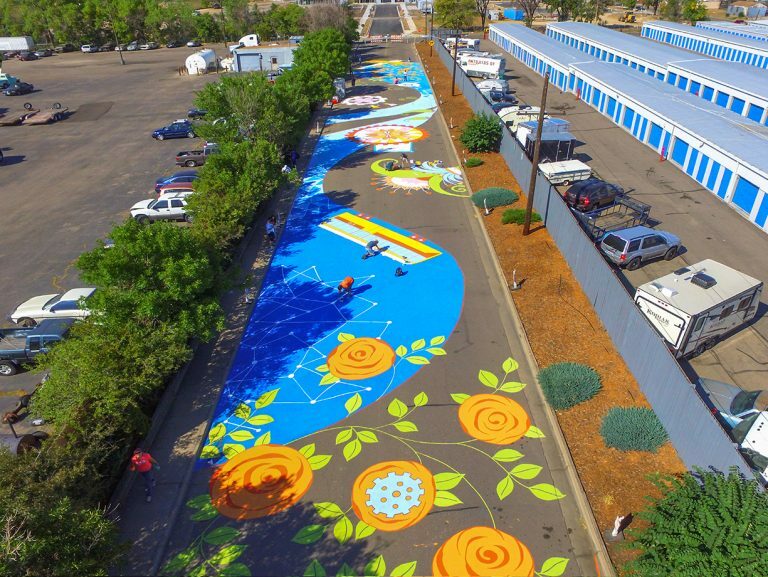 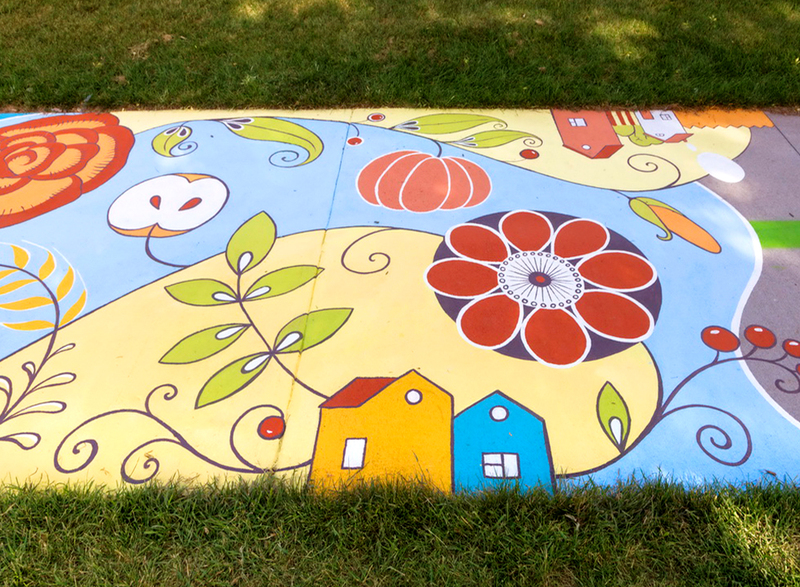 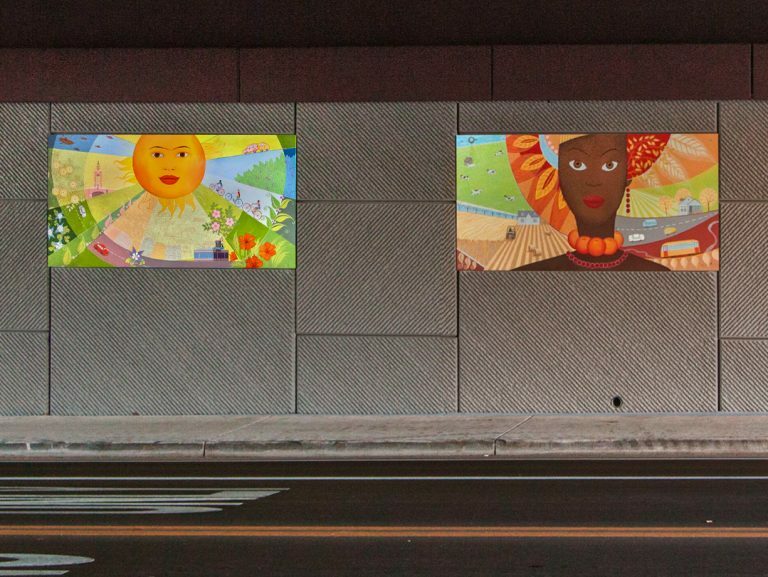 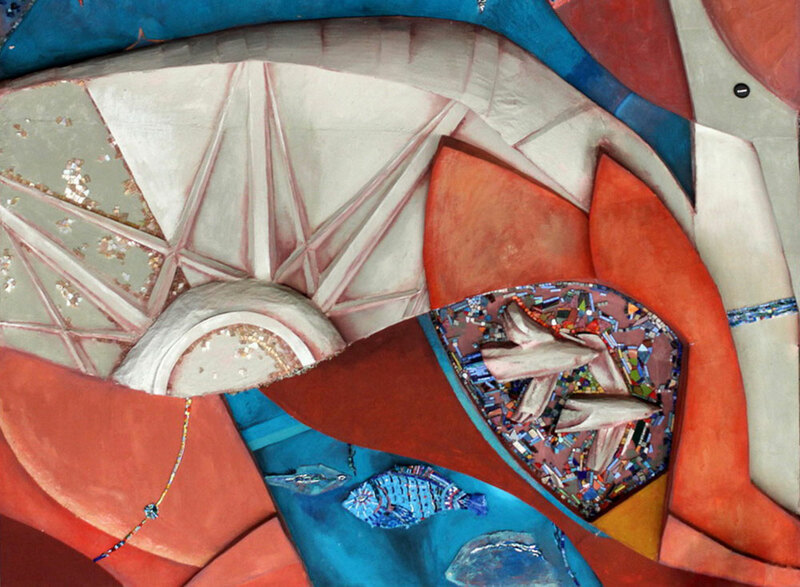 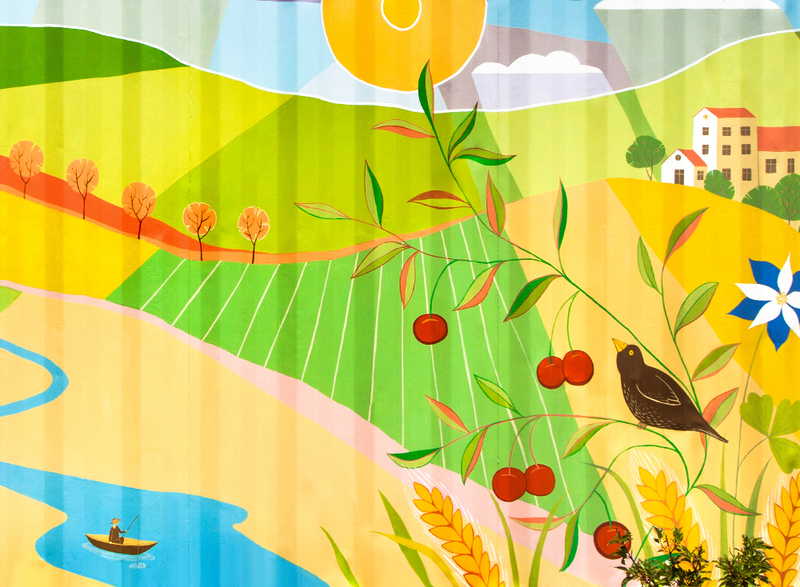 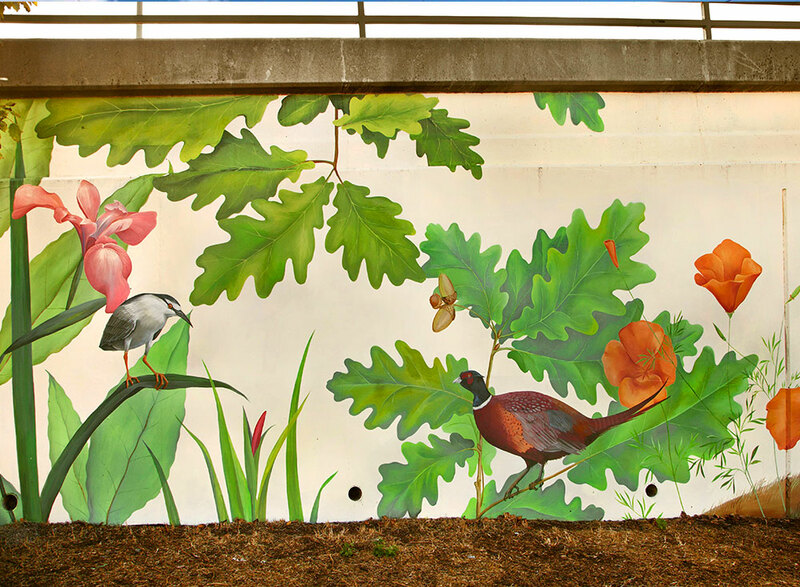 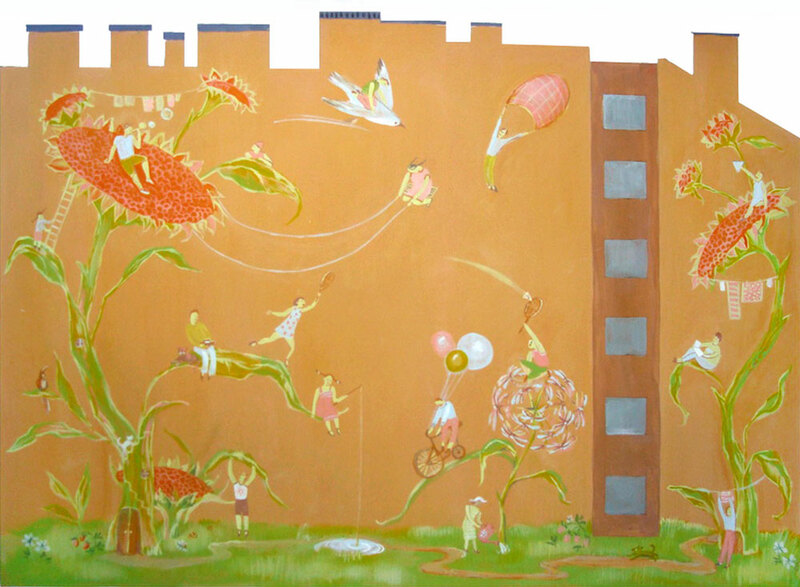 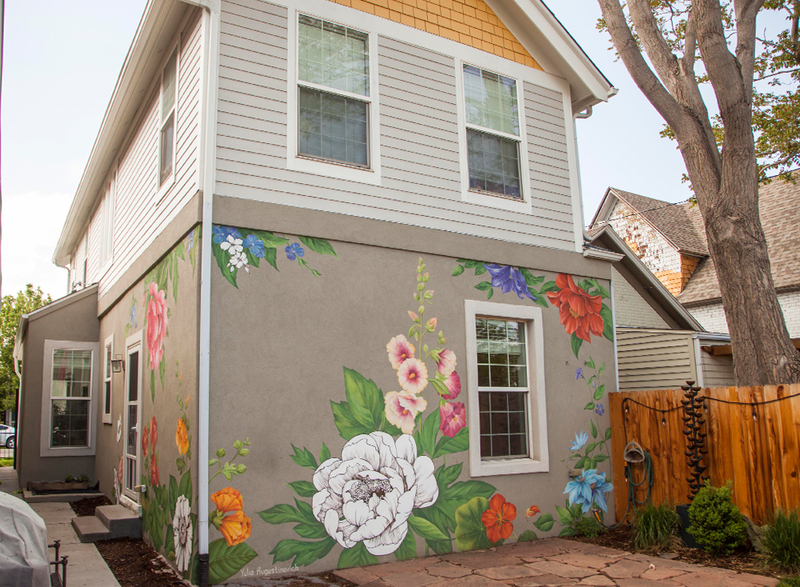 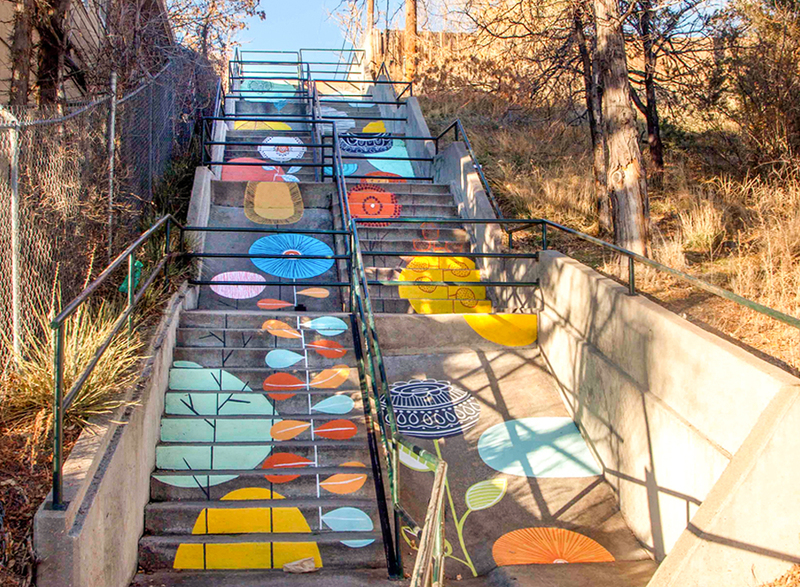 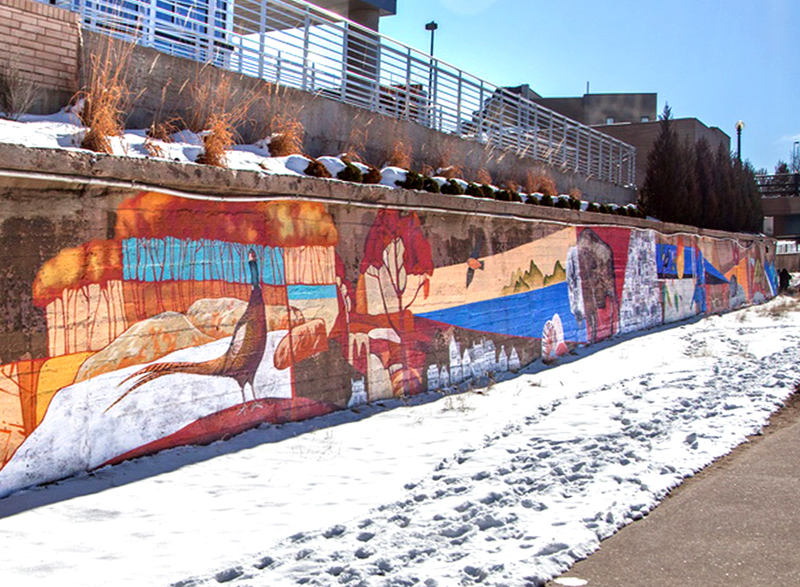 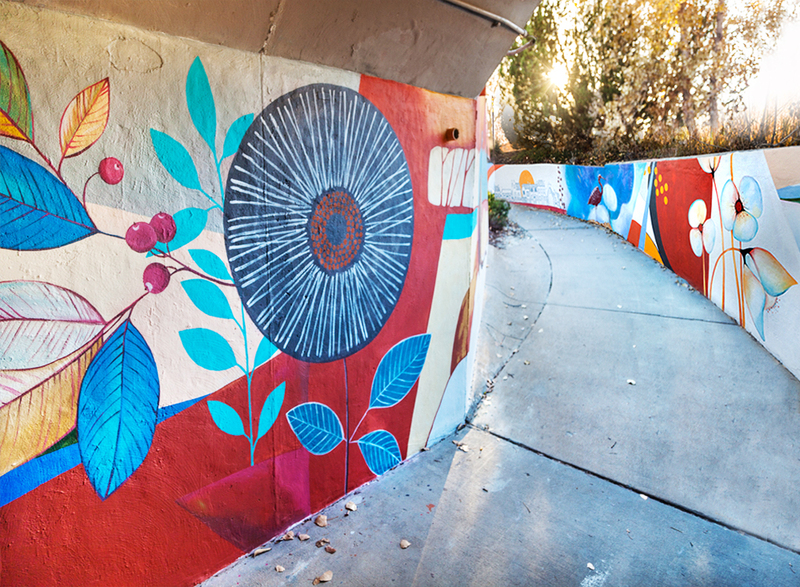 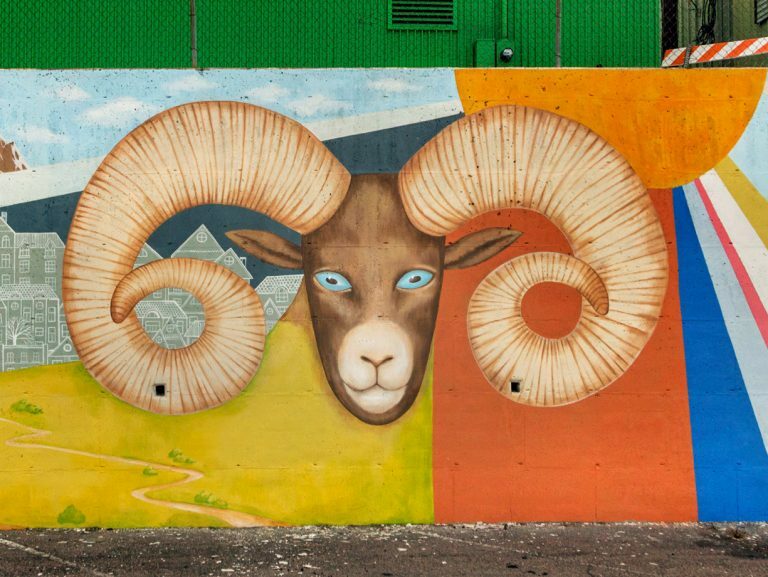 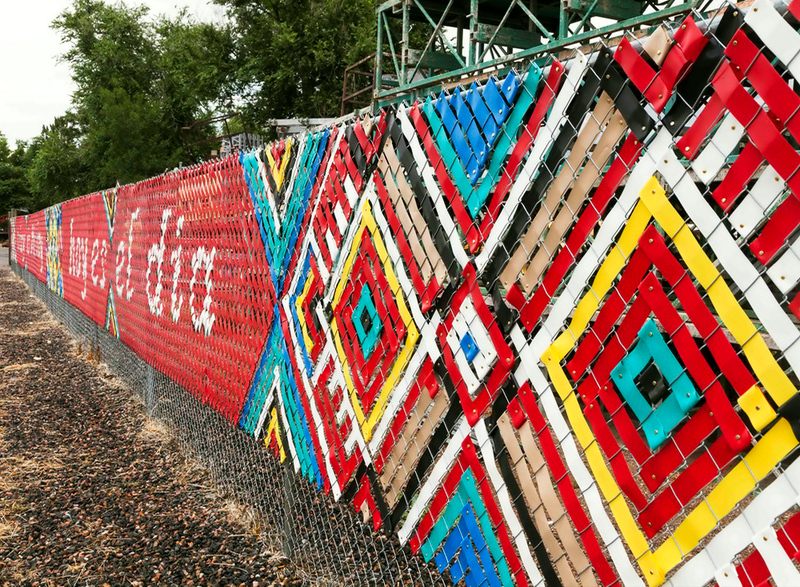 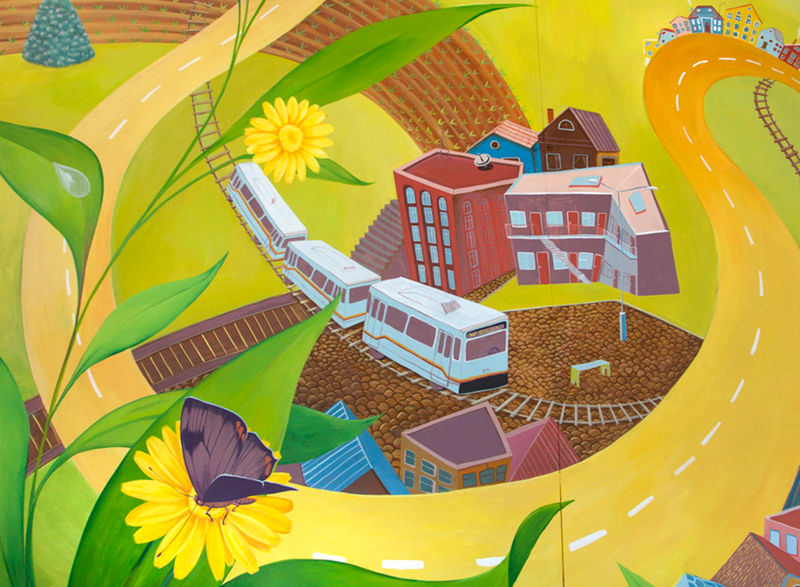 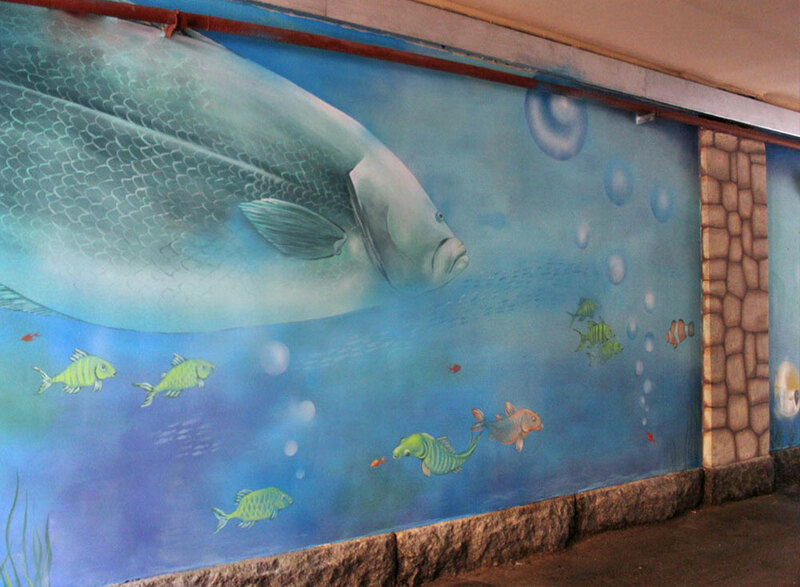 The mural harmoniously combines professional art with graffiti. 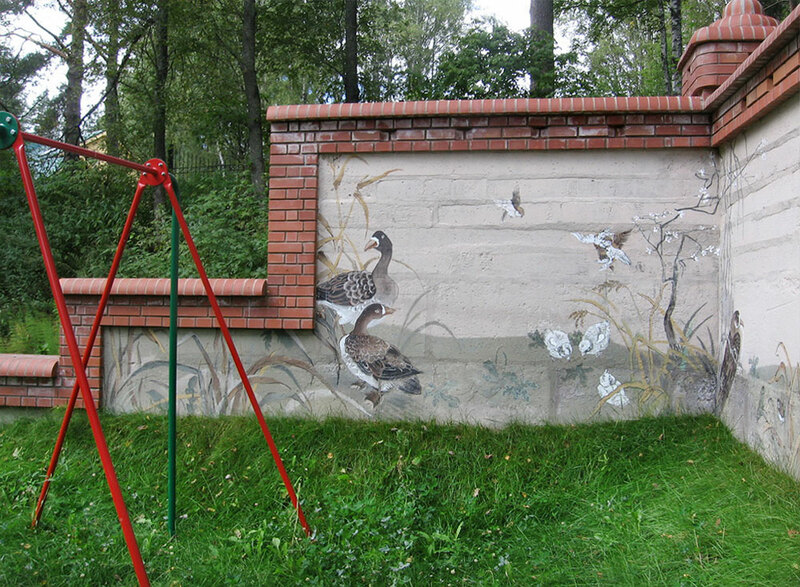 And every new piece of graffiti that appears just adds to the composition.